Hi, and welcome to the homepage for DJ Ed The Saint. Currently in residency at Koko - Club NME, Fridays. Well, my last dates are here! October 28th, 2016: Last Club NME, Koko London! Also, there's a Casino Royale, Barfly in Camden in August - more details TBC. 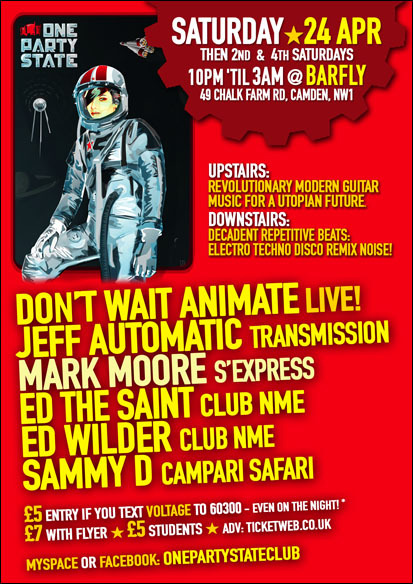 Am playing One Party State, Barfly, Camden - 11th December 2010! October and November Dates Confirmed. Also One Party State - May 22nd, see link below. Ed The Saint has been DJ-ing now for over 10 years.